One of the biggest changes you will have to get used to when you enter an IVA is the more modest lifestyle you will have to adopt. Many people got into debt by relying on credit cards, store cards, loans or general overspending. All of these things will have to change. You will be expected to live on a reasonable but modest budget. Adapting to this will take time but it will set the rules, which will help you escape debt and manage your money more responsibly. Living with an IVA is not a curse. In fact, you may well just be living with a more "normal" lifestyle. The reason most people get into debt is due to their poor financial planning, over spending, or over borrowing. When living with an IVA, you will have to adapt to the new situation and will have to plan your finances more stringently. An Insolvency Practitioner (IP) will have gone through all your outgoing and incoming monies to create a payment forecast you could afford. It is still worth it to use tools like our budget planner and debt calculator to see in black and white where your money goes each month. Remember, if you have any changes in your financial situation for the better or worse, you should immediately contact your IP as per the terms of your IVA. He/she will re-assess your situation and make the necessary adjustments to your payment forecasts. The length of an IVA can vary but is normally 5 years. 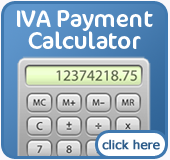 After this time, you will be out of the IVA agreement and the only scar that is left will be that it stays on your credit file for another 12 months. 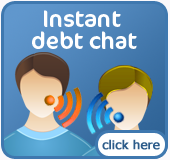 It is important that you do not have a release of tension after the end of your IVA and then proceed with the bad habits that may have caused you to get into debt in the first place. Over the term of your IVA you will have had to live and budget within your means. It is highly recommended that you take these skills on board and build on your new debt free life.